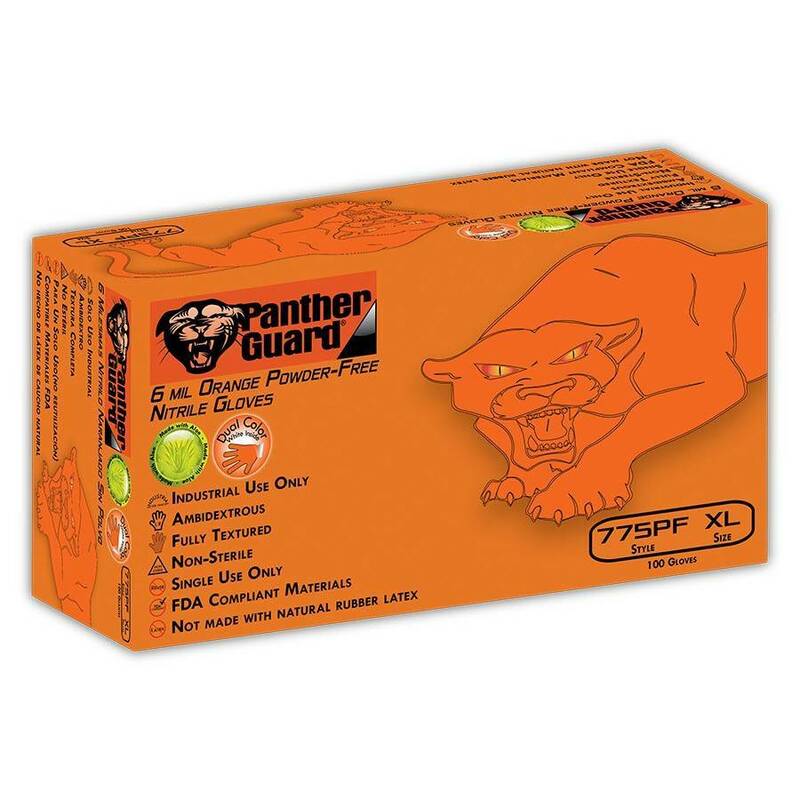 Panther-Guard - Disposable 6 mil orange 100% Nitrile polymer, powder free with textured grip. Post-process adds a Freeze-Dried Aloe coated interior to moisturize damaged, cracked & chapped hands. 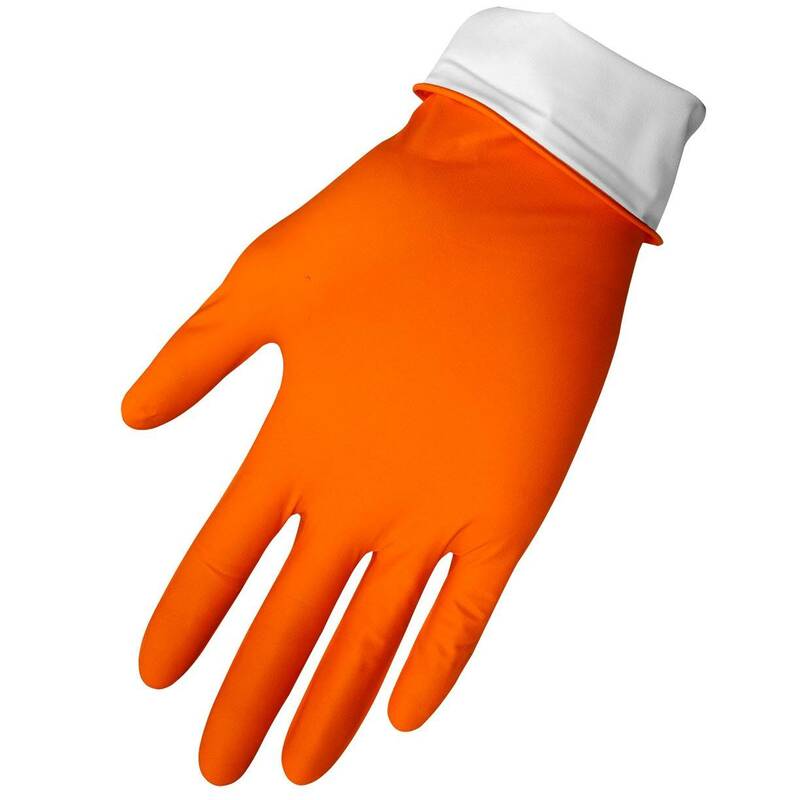 Dual-Color: The inside of the glove is white to easily identify if glove has been worn and should not be reused. 100 gloves per dispenser, 10 dispensers per case. Please review the chart below to determine your accurate glove size for Global Glove.